There was no love lost between Munir Ahmad Khan and A.Q. Khan. Munir was chosen by Zulfikar Ali Bhutto to ramp up the Pakistan Atomic Energy Commission’s work on nuclear weapons. AQ offered his services to Bhutto from Europe, and was tasked with collecting useful plans for manufacturing centrifuges. When AQ arrived in Pakistan, he found it difficult to work under Munir or anybody else. He secured his own laboratory complex, which was eventually named after him, an early indicator of his considerable skills at self-promotion. Munir went about his business of developing and acquiring the know-how, foreign and domestic, of building an indigenous base for producing plutonium and solid-fueled missiles. AQ focused on uranium enrichment and liquid-fueled missiles. After Bhutto’s demise, General Zia ul-Haq played Munir and AQ against each other, initially siding with AQ, and then with Munir. The particulars of this competition are detailed in Feroz Hassan Khan’s new book, Eating Grass: The Making of the Pakistani Bomb (2012). [Disclosure: One of my books was published by Stanford University Press, the publisher of Eating Grass.] My long review of Feroz’s book can be found in the next issue of Arms Control Today. Here’s a fore-taste having to do with the battle between the PAEC and the Khan Research Laboratories. as arrangements were being made for the impending test, Fakhar Hashmi of KRL visited the PAEC on May 14 and requested that Samar Mubarakmand give two bombs to KRL for testing. He spoke with such authority as to give the impression that the government had chosen KRL to conduct the test… This created much anxiety within the PAEC and its members, as many felt that the chance to prove their credentials was being stolen. To add insult to injury, A.Q. Khan purportedly wrote a letter to the prime minister in which he ridiculed the PAEC team, calling them “carpenters and blacksmiths” and requesting a “joint team” of PAEC and KRL personnel be formed with A.Q. Khan at its head. Samar Mubarakmand told the author that A.Q. Khan wanted to push the button for the test, which created a last-minute disagreement. Major General Zulfikar Ali Khan [then head of the Pakistan military’s cell overseeing nuclear work] was told that this was not acceptable to the PAEC team that had done the hard work, so it was decided that the honor of pushing the button should be given to a junior person who had made the largest contribution in designing the trigger mechanism [Muhammad Arshad]… At exactly 3:16, Pakistan Standard Time, Arshad prayed “All Praise be to Allah” as he pushed the button. Eating Grass is likely to figure prominently in a settling of nuclear accounts within Pakistan that is already under way. A.Q. Khan was awarded his nation’s highest civilian honor, the Nishan–e-Imtiaz, not once, but twice, in 1996 and 1999, prior to his 2004 public “confession” of misdeeds extracted by President Pervez Musharraf. AQ subsequently retracted that confession. Munir suffered many indignities because AQ regularly proclaimed his competitor’s failings. Munir went publicly unrecognized until he received the Nishan–e-Imtiaz posthumously in 2012, thirteen long years after his death. Now these tables have turned. As AQ futilely throws his hat into the ring of Pakistani politics, his standing as the father of Pakistan’s bomb is plummeting. Feroz’s account paints AQ as a vain, underperforming showman who caused “irreparable loss” to Pakistan’s international standing, while Munir, a quiet man with a thin smile, methodically laid the foundations of Pakistan’s future deterrent. The following also sheds light on the Battle of the Khans. 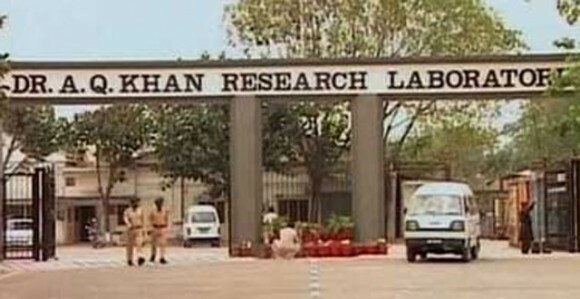 “The two teams that undertook the project- Pakistan Atomic Energy Commission (PAEC) and Kahuta Research Laboratories (KRL)- completed their mission despite the multifarious roadblocks en route. Pakistan is self-sufficient in nuclear raw materials. PAEC was tasked for mining, milling and refining the materials and converting them into yellow cake and uranium hexafluoride. It was also tasked to design and manufacture the highly complicated trigger mechanism, make the implosion device and dig tunnels for conducting the tests. The added responsibilities of this body included use of nuclear sciences for medical purposes. Mr. Munir Ahmad Khan was the Chairman PAEC during the period 1972-1991. Munir was a soft spoken person for whom reticence was a virtue. He was a good planner, skilful negotiator and a convincing orator who spoke with ease, conviction and authority. While explaining his viewpoint he would speak in low tone and at times appeared to be whispering. Shy of media he worked in silence and led a happy team. KRL received uranium hexafluoride gas from PAEC and fed it into the cascades of ultra-centrifuges located in its enrichment plant where it was enriched to weapon-grade level. The enriched uranium hexafluoride gas, when converted into metal, forms the core in the weapon. An outstanding metallurgist, Dr. A. Q. Khan’s professional excellence was matched by his passion and enthusiasm. He enjoyed wide fiscal autonomy in his work and hated bureaucratic hurdles and technological barriers in his way. A go-getter and a pleasant conversationalist with soft demeanour Dr. A.Q. Khan loved publicity, had an insatiable urge to meet the Press and enjoyed open and frank discussion on security-related issues. His penchant for media coverage was surpassed by the eagerness of the media to exploit his weakness for publicity and fame. At times his keenness for self-projection created serious difficulties for him and for the country. Dr. A .Q. Khan and Munir were professional rivals who were seldom on friendly terms with each other. Nuclear success in Pakistan was achieved by the dedicated efforts of all scientists, technologists and technicians in PAEC and ERL under the guidance of the government. There was no single hero of this success story. K. M. Arif, Estranged Neighbours: India-Pakistan 1947-2010 (Islamabad: Dost Publications, 2010), pp. 287-289. (General K.M. Arif, ex-Vice Chief of Army Staff, Pakistan Army). I am looking forward to reading this book. Apart from anything else, I would like to learn where Osama bin Laden’s years of sanctuary in Pakistan post-9/11 fit into the continuum of Pakistan’s international standing. I wrote too glibly, and have asked my editor to revise this formulation. AQK got the job done, in terms of uranium enrichment. He also over-promised and under-performed in Feroz’s account. He was mercurial when Munir was steady. Judge for yourself whether Feroz’s account is reliable. My views will be in the Arms Control Today review. Q: Who supervised the team that exploded the devices? and courageous people. My presence was not necessary. 1. the extent to which A Q Khan can legitimately claim to the “father of Pakistan’s bomb” and the developer of its first nuclear-capable missile, the Ghauri. 2. the extent to which A Q Khan’s proliferation activities to China, Iran, Libya and North Korea were sanctioned by the relevant political and military authorities at the time. Again, for the uninitiated, it is true that A Q Khan has told me many things over the years. But I have also been told many things by lots of other players as well. All this might not amount to perfect knowledge but has enabled me to develop some very reasonable working assumptions. And, apart from A Q Khan, I know, or knew, many of the other players as well eg General Zia ul-Haq, General K M Arif, Benazir Bhutto. I also met Munir Ahmed Khan. At the time I formed the view that he was a modest man with lots to be modest about. I will be testing this assumption against what I read in the new book. Let me assure you, Simon, I wasn’t replying to you or attempting to imply anything about you. I’m just sharing a wonderfully evasive A.Q. Khan quote that fits nicely with the book passages quoted by Michael. Eating Grass gives full credit where it is due, not just to A Q Khan and Munir A Khan, but everyone who played a key role in this decades-long nuclear journey. The answer to your first question can be found in tables 5.1, 7.1, 9.1, and 10.1 of Eating Grass. They identify the individual organizations and scientists/engineers leading the various segments of the nuclear fuel cycle and weapon design, fabrication and testing work, along-with the timelines that comprised Pakistan’s entire nuclear program. The 1998 tests were conducted by PAEC, which has been acknowledged by KRL’s ex-Chairman and AQ Khan’s successor, Dr Javed Mirza in the book on p. 279. Secondly, no rational decision-maker in government, either civilian or military, sanction illicit proliferation of centrifuge technology at any time. This is evident in at least three well researched works on the subject, i.e. the IISS 2007 Dossier, Peddling Peril and Eating Grass. While these indicate that even as a few individual beneficiaries existed within Pakistan, the network was private, illicit and A Q Khan was abusing his official position even in 2003, two years after being removed from KRL, for protecting the interests of other members of the proliferation network. Thirdly, once the network was exposed in 2003, and when confronted with irrefutable evidence, the military in Pakistan did the needful to break it up. 1. It would have been under an official agreement between two state parties. 2. PAEC would have been into it as well, which was not the case. 3. The finished product would have been sold rather than a few dozen used centrifuges along with their designs. Before this saga is over, a book or two will still be written. Having said that, I do not suggest to undermine the techno scientific skills of Dr. Khan, and the countries, which received the technology. Those centrifuges produce HEU, and the nuclear weapons designs likely work, and , more importantly, the designs are out there. One should also not forget the origin of the reprocessing technology of Pakistan, and the source of the technology of the Khushab reactors. With due respect…the debate on “origins” can become messy. There are two broad categories of proliferators: the old and the new ones. The origins of technology of old proliferators can be traced back to the Germans (the V Rocket technology and the pre-Manhattan Project era). Should it be debated that the Manhattan project and the U.S. missile technology has some origins? Likewise, should the Russians be ostracised for stealing already-transferred technology through moles embedded in the American project? Should India be castigated for stealing from the Atoms for Peace Program? Every nuclear-armed State has origins…lest we forget! I would find it easier to judge the contributions to this discussion if people did not hide behind pseudonyms. I think it’s fair to assume that commenters with pseudonyms are laymen. Their comments stand or fall based on their persuasive power, and generally we assume no special knowledge on their part. That would be nice. Pseudonyms are used for protection –government any military types, for example, and by those who wish to hide behind potshots. Russia’s expenditures on nuclear weapons in 2013-2015 will amount to 101,15 billion rubles, Head of the Defence Committee of the Lower House of the Russian parliament Vladimir Komoedov said. According to Komoedov, Russia has already spent 27,4 billion rubles on nuclear munition in 2012. Anyone who has first hand knowledge of the pak military establishment knows there is little going on in the land they don’t know about…especially when it comes to nukes. Despite repeated denials by Rawalpindi and Musharraf’s “certification” that after cross-examination 2 former COASs Mirza Aslam Beg and Jehangir Karamat were cleared of any responsibility in the A.Q. Khan Network, it remains highly likely that they did indeed know, after all it is the Army investigating itself… in Pakistan! And I am especially suspicious of Gen. Beg’s role in the affair, knowing his predispositions, his public outbursts of support for Iran’s nuclear efforts and the accounts of former US officials (fmr.Amb Oakley and Asst. Secdef Rowen)regarding the possibility of proliferating technology to Iran in response to US sanctions post Chagai Hills. While the final outcome of the “battle of the khans” is yet to emerge (and is ultimately geo-politically inconsequential and largely academic), we should maybe start extinguishing the more outlandish claims (especially those by the Military Establishment itself)regarding PakArmy’s total lack of knowledge and/or responsibility in the Khan nuclear emporium. Anyway, as Dr. Heinonen says, the stuff works well enough and is out there and this fact is definitely NOT geo-politcally inconsequential.